BOTH government and Parliament are more interested in leveraging delay towards their respective versions of fake Brexit than fixing the un-democraticness and un-constitutionality of delay. 2. ‘exit day’: when Britain’s subjection to EU membership, laws, and jurisdiction are repealed domestically, except to carry forward most of those laws, subject to correction within a period of two years from ‘exit day’. I am glad to see a legal consensus emerging on this point: A professor of public law at Cambridge blogged the same day that Parliament should align ‘exit day’ in domestic law with May’s new ‘Brexit day’ to prevent contradictions between (1) Britain’s obligations as a member to follow EU laws and (2) Britain’s liberation from EU law and jurisdiction upon ‘exit day’. May herself has repeatedly stated that she would seek Parliament’s confirmation of any delay, and the Speaker of the House of Commons confirmed this as a constitutional matter. In her written statement to the House on 15 March, she promised to motion to amend exit day as soon as possible after the EU agreed delay. The EU agreed late on 21 March. Incidentally, that morning the Commons research service published confirmation of the requirement and her promise to fulfil it. Nevertheless, May spent Friday 22 March executing delay without debating the constitutionality in public. Thanks to a subsequent leak, we now know that the Prime Minister’s Office was circulating a confidential briefing note claiming that May was authorised by Parliament’s indicative vote of 14 March to seek an extension. This is wrong. As I explained on Monday, an indicative vote is not law, Parliament indicated a longer period of extension than the EU agreed, May wants to change a date that Parliament has already ratified, extension entails participation in European elections, and extension is incompatible with ‘exit day’ in the EU Withdrawal Act and dozens of amendments to other laws. May does not publicly admit any of these arguments. She doesn’t even cite her own government’s briefing note’s conclusion that she was authorised by Parliament. Instead, she claims that her agreement with the EU Council is an international agreement trumping domestic law, probably because she believes this is more appealing to Remainers’ internationalist bias. On Monday, May told Parliament that she would motion on Wednesday to change the ‘exit day’ from 29 March to 12 April. However, she contradicted herself: ‘Were the House not to pass the Statutory Instrument, it would cause legal confusion and damaging uncertainty, but it would not have any effect on the date of our exit.’ As a matter of law, I disagree. As I explained before, Parliament should ratify any change of date that Parliament had ratified already in the EU Withdrawal Act. 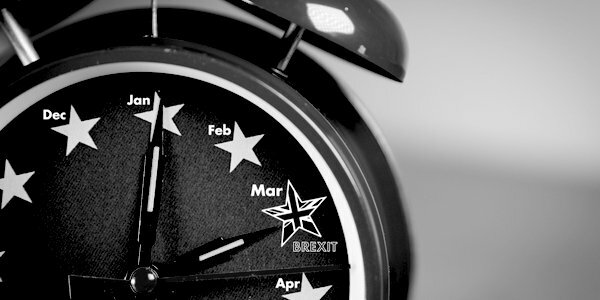 Unless Parliament amends exit day, Britain should leave the EU on 29 March. Incompatibility with international agreement is not the same as invalidation by international law. The EU could threaten to sue Britain in EU courts for a breach of international agreement, but that would confirm Brexiteer warnings against foreign authoritarianism. In any case, the EU Withdrawal Act ends the jurisdiction of the very courts that the EU would use to sue. Britain and the EU would then be in dispute about sovereignty (national versus supranational), which practically and democratically Britain would win, even if the EU claimed to win judicially. On Monday, May had nothing else to say on the matter than the one sentence I quoted above. In effect, she admitted legal confusion but ignored how the government would reconcile it. Such reconciliation must be achieved by Friday, far quicker than Parliament normally moves, and it could be filibustered or maladministered. It could be defeated. John Redwood has said he will vote against extension. Other MPs are determined to rebel just to demonstrate either May’s weakness or Parliament’s desire to take executive control. An anonymous source said that ‘half of the whips’ office will vote against the SI on a matter of principle’, and an anonymous ‘senior minister’ said the Cabinet should stop pretending that it has a plan. Thus, one explanation for May’s pretence that she doesn’t care about reconciling domestic law with international agreement is that she doesn’t want to expose her lack of control. The other explanation is that May’s administration was never ready for exit day. By claiming that exit day no longer matters, she covers up her unreadiness for it. Independent of her government’s material unreadiness (insufficient stockpiles) and international unreadiness (few trade agreements rolled over), let’s record her legislative unreadiness for exit day: the government still has not laid before Parliament 350 of the estimated 600 Statutory Instruments required to prepare the statute book for exit day. Only the government is to blame, because only the government can motion them. They are usually easy to pass: about 80 per cent become law on the government’s say-so without objection from either House (the ‘negative procedure’). About 3,500 Statutory Instruments are laid each year, of which only about 1,000 are considered by Parliament. Additionally, several major Bills still need to be passed to make use of exit day, including the Trade Bill, Agriculture Bill, Fisheries Bill, Immigration Bill, Healthcare (International Agreements) Bill, and the Financial Services Bill. Even more bizarre, the government has not formally brought into force the EU Withdrawal Act’s Section 1, which repeals Britain’s membership on exit day. An Act cannot repeal itself: thus, Section 1 must be assumed to come into force on the day the Act itself defines (exit day). The government’s failure to bring it into force is in defiance of the law. This leads us to the question of why Parliament has not taken control of this issue. Parliament has never moved to censure the government for its unreadiness, its failure to bring into force the law, or its failure to align international agreements with domestic law. Parliament won’t censure government for failing to implement Brexit because Parliament puts its bias towards Remain before its democratic and constitutional duties. My view is the majority view. In a ComRes poll for the Telegraph, about three times as many respondents said they believe that Parliament’s priority is to prevent Brexit as not. On Monday, MPs approved Remainer Oliver Letwin’s motion to take control of business today, but not in order to enforce the current laws to exit, rather to seek alternatives that look more like Remain. Constitutionally, Remainers are hypocrites. Remainers want their indicative votes to enforce the government, but they don’t want to enforce the EU Withdrawal Act. The Speaker (another Remainer) says the constitution is whatever is most convenient to Remainers. The legislature should be standing against the executive’s frustrations of democratic will and law. Instead, Parliament is taking control to further defy democracy and law.